Ependymoma is a type of glioma (a brain tumour arising from glial cells) most commonly found in children. The majority of childhood ependymomas (around 60-70%) are located in the 'posterior fossa' which is a small space in the lower part of the skull, containing the hindbrain. Ependymoma tumour cells don't always appear identical under the microscope and often display differences in behaviour. 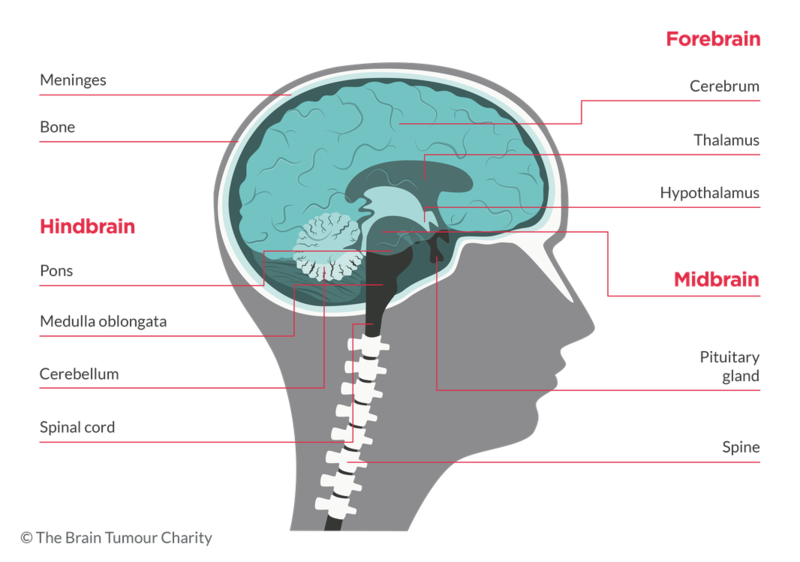 Like most other types of brain tumour, the World Health Organization (WHO) classifies ependymal tumours into subtypes using a numerical grading scale. The grade is determined by how the tumour cells look under a microscope. The classification above helps in understanding some basic variations between ependymal tumours. However, the appearance of ependymoma cells under the microscope doesn't always fit or predict their behaviour and possibility of recurrence. For this reason, more large-scale studies are needed in order to identify the exact factors determining ependymal tumour behaviour and to subsequently revise the existing grading scheme. The signs and symptoms, that a child with an ependymoma may display, depend on a number of factors, including the age of the child, the location of the tumour and its size. An ependymoma may cause two main types of symptoms: general and focal. If your child displays one or more of the general or focal symptoms, consult a doctor who may run further diagnostic tests to determine their cause. If your doctor suspects that your child has a brain tumour, they will refer him/her to a specialist called a neurologist that specialises in brain and nerve disorders or an oncologist. The speciliast will ask questions about your child's health and give them a physical examination. They will also test their nervous system (called a neurological examination). This involves looking at your child's vision, hearing, alertness, muscle strength, co-ordination, and reflexes. They will also look at the back of their eyes to see if there is any swelling of the optic disc (the optic disc is where the optic nerve from the brain enters the eye). Any swelling is a sign of raised pressure inside the skull, which could be a sign of a brain tumour. They will also need an MRI (magnetic resonance imaging) or CT (computerised tomography) scan to confirm whether a brain tumour is present. If from a scan, a tumour is identified, a resection (biopsy) will be planned to remove as much of your child's tumour as possible for diagnosis (for testing). A resection to remove a brain tumour is a complex operation which takes several hours. Any risks will be explained to you by your child's surgical team. If possible, the neurosurgeon will attempt to remove the whole tumour during the resection. In both cases, cells from the tumour will be analysed in a laboratory by a neuropathologist. 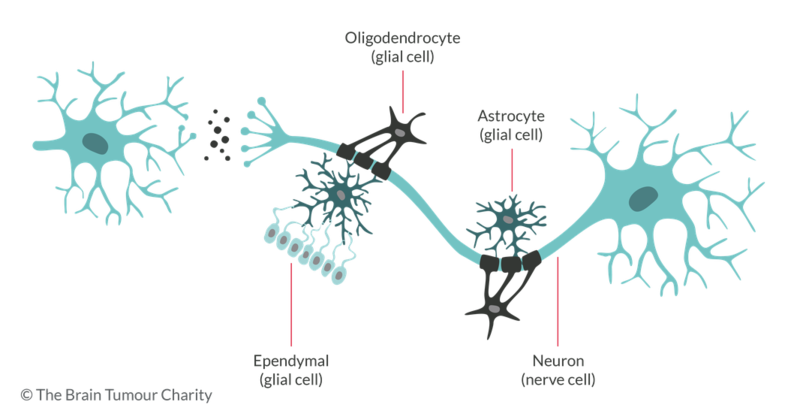 The neuropathologist will examine the cells under a microscope and make a diagnosis based on the characteristic tissue patterns of ependymoma. Also, the tumour will be divided into one of the four different sub-groups (types). It is important that a detailed diagnosis of the exact tumour type is made as this will allow your medical team to determine the best course of treatment for your child. Meet Jake who will be able to tell you all about children having scans. Find out more about Ependymoma in children in the full factsheet. Meet Jake! In this video he helps children to understand their brain tumour diagnosis in a comforting and reassuring way.